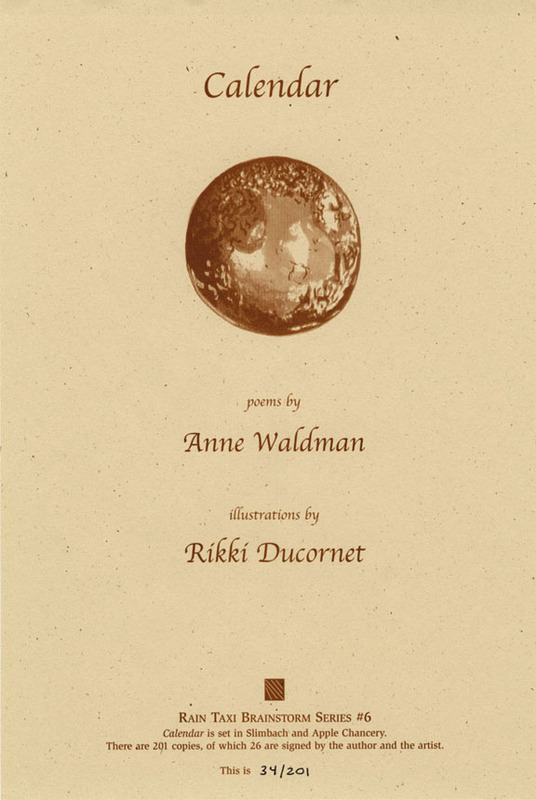 A collaborative work containing twelve broadsides, one for each month of the year, with new poems by Anne Waldman and artwork by Rikki Ducornet. 13 pp, 9" x 14" unbound broadsides. $12 includes S&H in the U.S. Shipping costs added for overseas shipping. This entry was posted in Uncategorized on January 4, 2019 by Kelly.